of 2016 (-22,000 ha), reaching 7.6 mha. and 2017, while those in Italy (695 kha) are estimated to have grown by 5 kha. 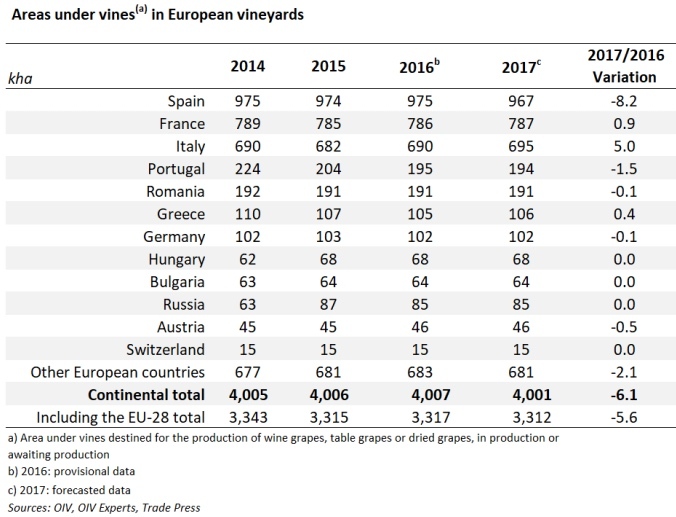 Vineyards outside Europe appear to have remained stable between 2016 and 2017, reaching anestimated 3.6 mha. This apparent stability is the result of contrasting developments. 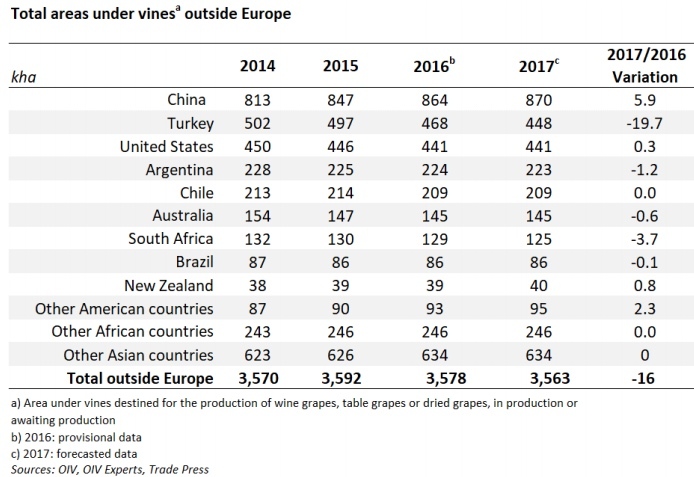 In Asia, the expansion of Chinese vineyards (870 kha) slowed after 10 years of strong growth, whileTurkey (448 kha) saw its vineyards decline at a sustained pace, falling by 19.7 kha between 2016 and2017. And so it seems that after having been the main centre of global vineyard growth, Asia is nowexperiencing a moderate decline in its area under vines. North and South America did not record any significant variations in the size of their vineyard surface area between 2016 and 2017. 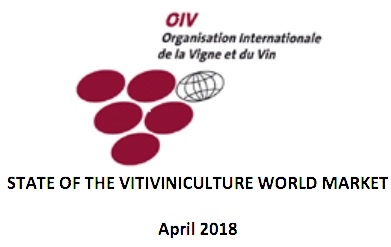 The same was almost true in Oceania: the recent downturn in Australian vineyards (145 kha) seems to have slowed, while New Zealand’s vineyards remained more or lessstable at around 40 kha.